According to a recent article titled Secret deaths: CNN finds high surgical death rate for children at Florida hospital, at least eight babies have died at St. Mary’s Medical Center in West Palm Beach, Florida since December 2011 when their pediatric open heart surgery program began. Layla McCarthy’s parents Christine and Matt were warned in an elevator at St. Mary’s by a stranger who overheard medical staff whispering about problems at the hospital’s pediatric heart surgery program. They talked about an unusually large number of babies having complications and that many weren’t surviving. They transferred her, but that left them wondering why they weren’t warned by the risks. The eight babies who died since the pediatric open heart surgery program at St. Mary’s Medical Center include Keyari Sanders, Alexander Gutierrez-Mercado, Amelia Campbell, Pa’rish Wright, Landen Summerford, Weston Thermitus, Milagros Flores, and another baby whose family wishes to remain anonymous. Our Florida Medical Malpractice Lawyers have decades of experience representing clients who have been victims of medical negligence. Victims of medical malpractice and their families can and deserve to seek redress for their injuries – and accountability for mistakes. Medical malpractice litigation is complicated, victims or their families must carefully select their Florida medical malpractice lawyers. 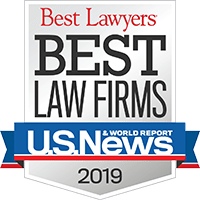 It is critical to choose a firm that isn’t just knowledgeable in medical malpractice law, but has a reputation for experience and a record of success. For more than 35 years, Babbitt & Johnson P.A. has aggressively represented victims of medical malpractice. Our firm has won national media attention both for our cases and for our insistent pursuit of more openness in the medical profession. If you or a loved one has been injured due to medical or hospital negligence, contact a West Palm Beach personal injury attorney at Babbitt & Johnson P.A. for a complimentary consultation at 561-684-2500 or toll free at 888-666-0523.